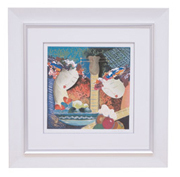 Transform that beautiful photo you took into a work of art with custom framing. From image to wall: photo or fine-art printing and custom framing at Mimosa Digital. A one-stop shop for all your decorating needs. At Mimosa Digital we will enter your photo into our virtual framing computer so you can see your actual picture against any mat color, from single to triple mats (or more! ), and any moulding of your choice. 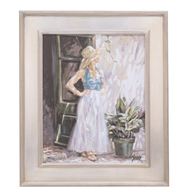 Preview your final custom frame before ordering - no more imagining from a corner piece! Having a tough time visualizing how your picture will look with various colored mats and frame styles? View side by side comparisons with pricing so you know you are getting exactly what you want - no surprises! Select frames --> Visually compare selection --> Order!